From the moment your little angel enters the world, overly generous nans and grandads, aunts and uncles are likely to shower them with gifts of money on birthdays and special occasions. It’s a good idea, then, to set up a savings account so your child can benefit from the interest as they get older. It is also a great way to introduce your children to money and its value. Luckily for us, there are loads of different savings, investments and bonds to choose from. The majority of high street banks offer young savers accounts, so your best bet is to check out the rates online for the best deal; Comparison sites are great for this. If you would like the flexibility of being able to withdraw money, opt for an ‘easy access savings account’. The rates will be lower than a ‘regular savings account’, but you won’t be penalized for withdrawing cash at any point. If you have set a long-term saving goal for your child, we suggest you open a regular savings account – The interest rates can be as high as 4%. It’s important to remember that this type of account is taxable if the child receives over £100 in interest a year from money given by a parent (unless it is above the parent’s Personal Savings Allowance). However, Aunts, uncles, other relatives and friends can give as much as they like! 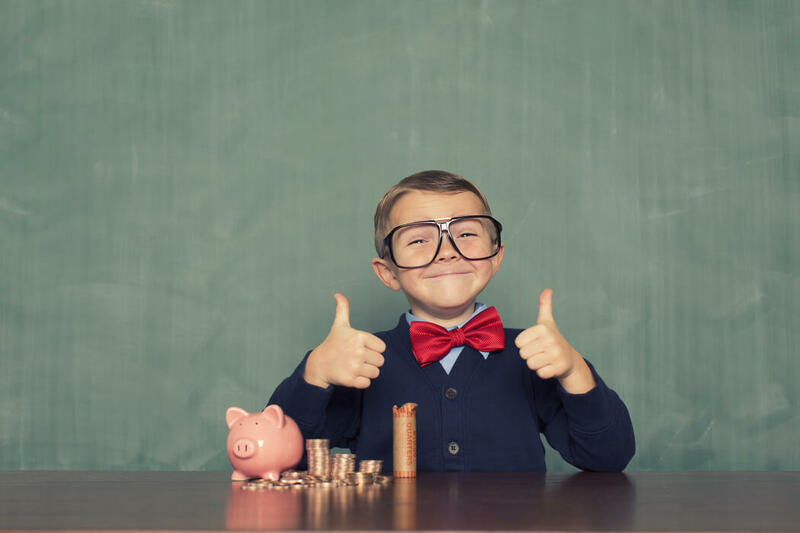 A prudent saving option for children is a tax-free Junior ISA. Yes, that’s right -no tax! In the 2018-2019 tax year the savings limit for this account is £4,128. There are two types of Junior ISA: stocks or cash. A Junior Cash ISA enables you to save tax-free. With a Stocks and Shares Junior ISA, your money is invested in the stock market and any dividends you receive are again tax-free. Parents are responsible for managing these accounts until their children turn 16, with withdrawals becoming possible from age 18. Check out Hargreaves Lansdown Junior ISA. It’s always a good idea to take financial advice before deciding which investment is best for your child’s ISA, and we advise against high risk companies/funds. We like the look of the Henderson Tech Fund our end. If you fancy the idea of putting your kids cash into a fixed-rate savings account, then a bond is your risk free option. The up-side is a good, stable interest rate for a fixed term – normally one to five years – but the down side is withdrawals aren’t allowed. A great choice is the NS&I Children’s Bond, which is currently yielding 2% annual interest for five years and is completely tax-free. Do bear in mind that 2% is the current inflation rate, so the amount of investment is increasing but the value is remaining the same. But do remember, 2% is better than 0%. You can open this account with just £25 up to a maximum investment of £3000. A fun and potentially fruitful gift for your child is premium bonds. Parents, grandparents or legal guardians are able to purchase premium bonds on behalf of a child under 16 and invest any sum between £100 and £50,000. It’s a little like the lottery: there’s no interest gained but your child’s bonds enter a monthly draw to win tax-free cash prizes which range from £25 to a whopping £1million. This option could pay off but the relative returns on average are generally lower than a high interest account. However, you have to be in it to win it. Is it time to start a Kids’ Pension? OK, I know what you are thinking, it sounds a bit strange taking a pension out for your toddler, but this could well be the smartest move you ever make in relation to your sprog’s financial wellbeing. Virginmoney.com reveals that putting £50 a month into a pension from age five will add an extra £88,000 by age 67, as opposed to saving from age 18. With a Sipp you are able to invest up to £2,880 per child a year and the government adds a further 25%, which turns £2,880 into £3,600. Is this a no brainer if you ever did see one? When your little one turns 18, control of the pension is handed over to them and they pay into the scheme from then on. They can then withdraw their pension when they reach the ripe age of 55.